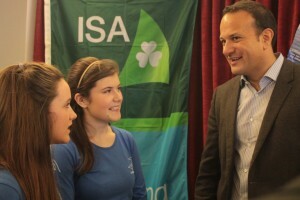 Seen here with the Minister are Glenans trainees Sinead Murray (left) and Niamh Murray. The 2013 brochure for Les Glenans sail training centres was launched today (Sunday) by Minister for Transport, Tourism & Sport Leo Varadkar at the National Yacht Club in Dun Laoghaire. 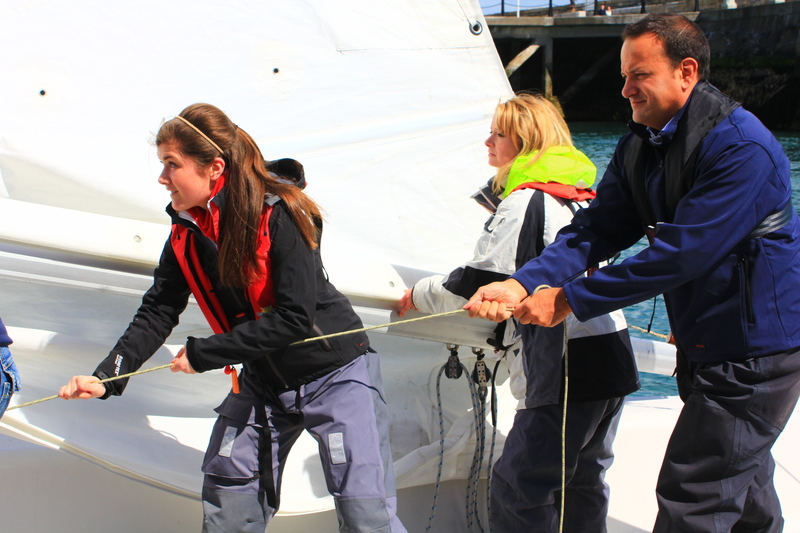 Minister Varadkar with trainees Niamh Murray (left) and Therese Long. Speaking at the launch, Minister Varadkar said: ‘Glenans is an excellent organisation, staffed mainly by volunteers, which has trained thousands of volunteers over the years. And in the year of the Gathering, it’s significant that so many of these trainees come from overseas to learn how to sail in Ireland at a Glenans school. I wish them the very best in the year ahead with this new brochure’. 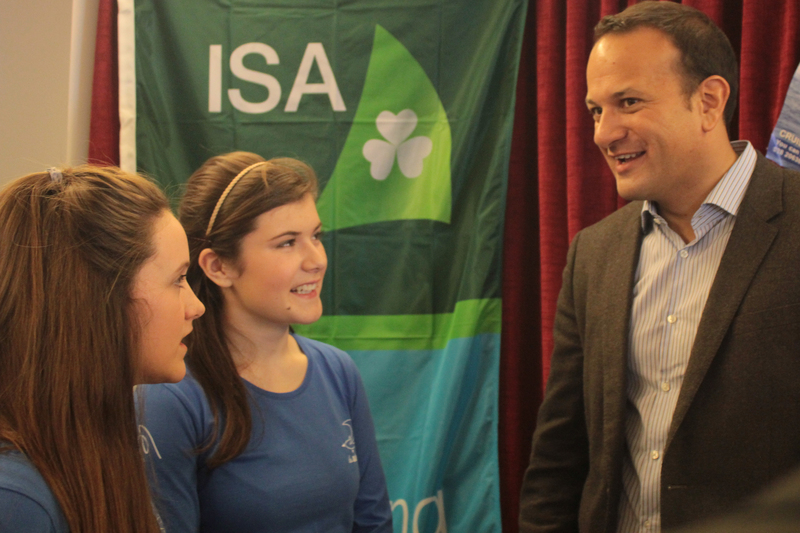 Minister Varadkar with General Manager Les Glenans, Laurent Martini, and Vice President Glenans Ireland Emma Sweeney. Michael O’Meara, President Les Glenans Irish Secteur said: ‘Les Glénans is the biggest sailing school in Europe and although the Irish Secteur is a small operation we are planning to increase our trainee numbers by 10% this year. 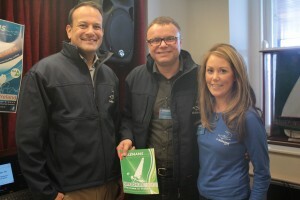 It is a great boost to the start of our marketing campaign to have Minister Varadkar to launch our 2013 brochure. As we have trainees coming from France, Italy, the rest of Europe and North America, as well as Ireland, to our bases in Baltimore in West Cork and Clew bay in Mayo we are providing a tangible contribution to the long term tourist economy in these regions’.